The Pisa travel mug is a fantastic companion on the morning trek to work or uni. Looking for a fabulous gift idea for coffee lovers? Well these 450mL travel mugs are the perfect fit! They have a stainless steel interior and a screw on flip top lid as well as a comfortable carry grip so you can easily enjoy your favourite hot beverage on the go. 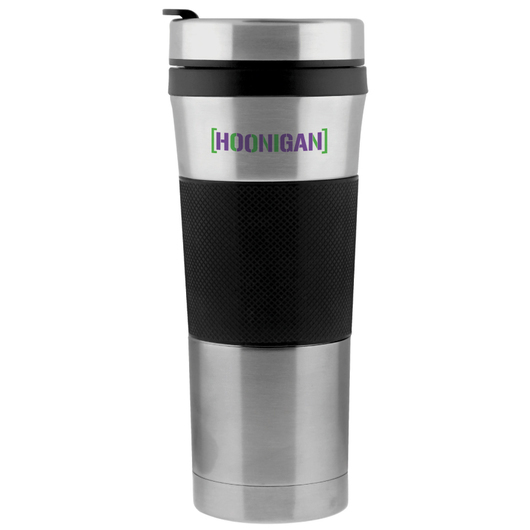 Each mug also comes decorated with your logo or message that will get seen on a daily basis.